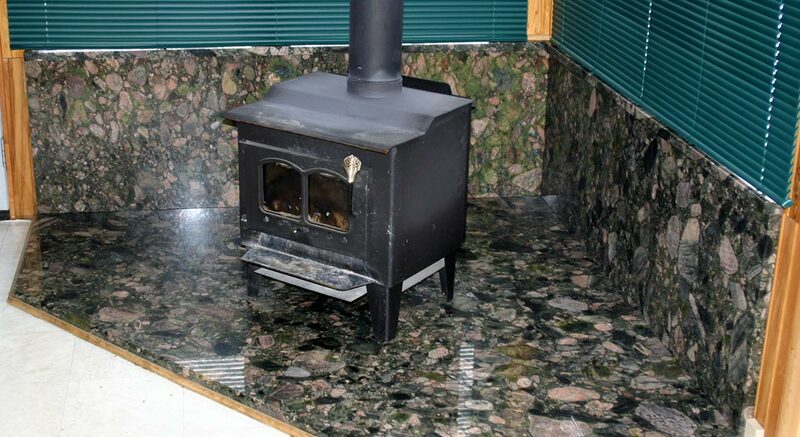 Beautiful Green Marinace Granite was used for this cottage wood stove to meet safety requirements. The walls behind were also clad with the Marinace, along with the window sills to finish it all off! The Green Marinace Granite on the floor is so simple to take care of. 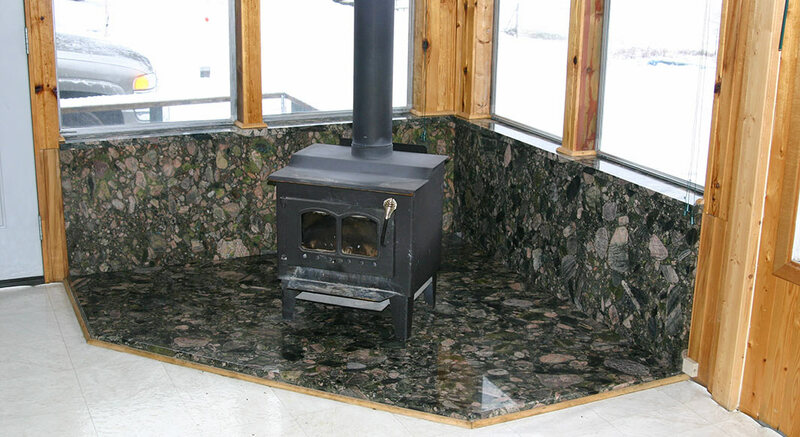 Hot embers will not burn the granite… after all, granite is made from heat and pressure! It sweeps or vacuums up quickly and is super easy to keep clean.